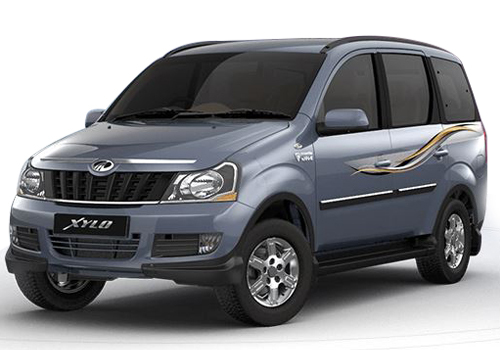 Mahindra Xylo is one of the most economical cars out there in the market. Its price is the main attraction for buyers. But the features and quality is maintained in the MUV by Mahindra. It doesn't look that Mahindra has compromised on quality of ride, or comfort. Exterior: The exteriors of Mahindra Xylo look fine. It is a tall car with bold features. The grill in the front makes it even bolder. The head lights and Tail lights look fine. The tyres are good. Overall, the looks are just good enough to catch the attention of people on the road. Interior: Mahindra Xylo is very spacious on the inside. It has seating capacity of 7 people. There is ample space in every spcace. The seats are good and comfortable. The boot space is also impressive. The dahsboard is decent looking. The tachometer and steering wheel are stylish enough for a MUV priced under Rs. 8 Lacs. The only thing it lacks is that there is no CD player on it. Engine: The engine of Mahindra Xylo is quite powerful. It is available only in diesel variant with 2498 cc engine. The performance of the engine is decent enough. It is responsve, smooth and doesn't make much noise when it is on. Overall: If you have small budget, but you have desires of buying a big car, Mahindra Xylo won't disappoint you. This is a quality product from Mahindra, which is really low in price. Good for families and for Taxi purpose.